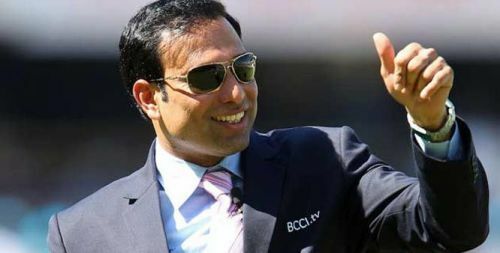 Do we need a new mentor for the Indian Team? All is well when everything goes well. This is the mantra applicable across geographies and sectors. The Indian team has won the historic Test series in Australia and all the team members along with the support staff are getting appreciations from every corner of the world where the fans reside. But, let us not forget the fact that the current head coach has been criticized widely for his team selection along with the captain. The team selection has been inversely propositional to the team's performance in the overseas condition. With the World Cup in sight, we need to look for a calm person who can mentor the Indian cricket team. Ravi is a wonderful coach no doubt about it, but he gets carried away by victories and is overly aggressive in his approach at times which has been evident in his team selection or his speeches off the field. This is where we need a person similar to MS Dhoni, who can guide the team and most importantly the youngsters of the team. There are a lot of contenders for this role. But I will elaborate on the three Indian options who can take up this role considering their prior experience in similar roles. The coolest Indian bowler till date, who has peaked since the series in 2007 against South Africa. He will be a very good mentor for the entire team and will double up by helping our fast bowlers with his experience. He has handled the IPL teams very well. Now with the increased emphasis on fast bowling, he will be a vital addition to the support team by helping the youngsters in getting things right and being ready for their opportunities. His vast experience in foreign conditions also will help the team, above all he was also a great captain for his IPL team, which means he can add to the strategy piece of the team by helping the bowlers plan better, as we know with the increase in number of flat pitches across the world, bowler's strategies form a very vital part in the game. The stylish batsmen from the southern part of India, who had shattered many Aussie bowling attacks will also be an ideal choice as a mentor. He had neither captained the national team nor was given his due during his batting days, but he is a strong candidate to be the mentor of the team. Let us have a look at his IPL stint with Sunrisers Hyderabad, where he has mentored the team by gelling in with the coach and getting the strategies ready. He has been a very grounded person and might help in curbing the over aggressive instincts of this Indian team. Dravid is an immensely respected cricketer across geographies and he is the prime force for grooming Indian young cricketers to get into the international circuit. He needs no introduction as the coach of India A and India U-19. He is a fantastic coach and should stay there with the A team and the U -19 team as the coach for the respective teams. But let us look at the fact that he has helped the cricketers perform better and this Indian team also has a quite a lot of cricketers, who have been struggling off late to get into form. Above all, he is respected by the entire team for his contributions with the bat and beyond the bat as a coach for the youth teams.